In this roundup we get a lot of second looks at movies like Red Sparrow, Super Troopers 2, and Tomb Raider. Tomb Raider still looks pretty ‘meh’ and Red Sparrow, while it looks decent, only makes me want a standalone Black Widow movie all that much more. Super Troopers 2 gave us the red band look at the follow up to the cult comedy classic (and one of my personal favorites), and I’m still there for all of it. The Death of Stalin looks like it’ll live up to the immense buzz and acclaim it’s been receiving as the next great satire and it’s casting is incredible. Don’t Worry, He Won’t Get Far On Foot looks like the definition of an indie and I have no clue what it’s about, but I’ll see anything with Joaquin Phoenix in it. Check out everything I rounded up below and let me know which ones you’re most pumped for. 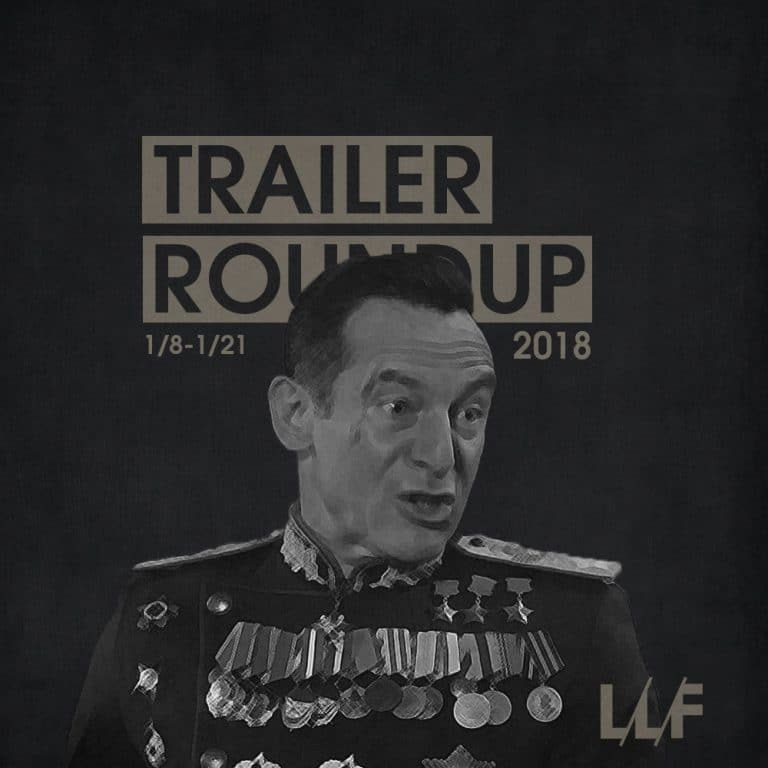 What’d you think about this weeks roundup of trailers? Which one are you most excited about? Let me know in the comments below and subscribe to stay up on all the content and gain access to exclusives.